Gamification in apps is one way to increase engagement with your mobile app. Reward systems are widely used in games, but there are certain game dynamics that be integrated into the overall mobile app user experience. Well-designed gamification methods contribute to increased revenue for app owners, and can be included in your mobile app development sprints. Why do game dynamics work? Gamification in mobile apps appeals to human desires, for reward, self-expression, achievement, competition, and status. Encouraging people to earn rewards for using your app can be beneficial for both parties. People are more inclined to complete actions if they know that their efforts will be rewarded. Increased user engagement also brings an additional source of revenue. There are many possible types of app-based rewards. Some can be earned by spending time in an app, while some might be earned by making in-app purchases. But no matter what kind of reward system you choose, rewards should hold some intrinsic value for users. Empty points and meaningless badges are not sustainable, and should be crossed out from your app development schedule. Come up with some reward ideas that can actually bring value to your users. One way how to gamify your app and motivate users is to offer points that can be used as in-app currency. In this way, users earn points that can be exchanges for physical or digital goods. The most common examples of physical goods that might be offered are frequent flier miles (Turkish Airlines app), cash rewards used by credit card companies, food and drinks (Starbucks loyalty program), and gift cards (location-based shopping apps Punchcard or Shopkick). Reward systems used in gamified mobile apps can sometimes be synonymous with loyalty programs. Digital rewards have no value outside of an app. But all the same, they can sometimes satisfy users even more than physical goods. Stickers in a messaging app, a song from iTunes in your music streaming application, a custom background, or just some virtual currency to unlock specific app features can go over quite well with users. Peter Vogel, an entrepreneur who tried using virtual rewards in his business model, admits that virtual rewards pack a stronger emotional punch than frequent flier miles, cash rewards, and other traditional offers. $1 or $2 in virtual currency is more powerful than $5 in cash, because if someone puts $5 into your bank account it disappears into a pile of money and you forget about it, as you don’t need it right now. A $2 virtual reward, however, provides an immediate benefit and can be spent in-app to buy virtual essentials or premium features. If we transfer virtual rewards into the professional context, we observe a similar effect. According to research by employee motivation firm Make Their Day and gamification platform Badgeville, 70 percent of workers said rewards that were meaningful to them didn’t have a specific dollar value. Sometimes digital rewards can satisfy people’s need for self-expression. In particular digital goods that help users express their creativity are often highly sought after. Examples of mobile app gamification techniques that appeal to self-expression include allowing a user to change the color or theme on their profile page in your app. The human desire for self-expression is the cornerstone of social networking apps, but we can also pay attention to this desire when designing other types of mobile applications. 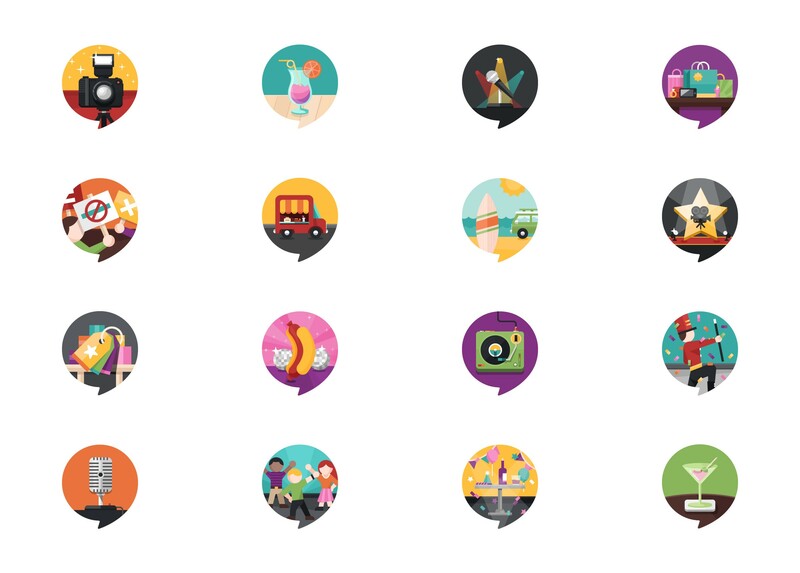 Users can express themselves with avatars, badges (Foursquare), and through any other virtual goods. Knowing your product and your customers will help you come up with a winning idea. Offering digital gifts is another great strategy for retaining users and encouraging social interactions. Digital gifts strengthen relationships between the gifter and giftee, and pull the recipient into an app to redeem the gift. Such examples of gamification are being used by Traces, a messaging service. Users of the app can leave digital gifts using any combination of text, images, video, tickets and vouchers at physical locations for their friends to pick up when they get to those locations. Rewards can be combined with achievements in gamified mobile apps. While big achievements are rewarded with something special, like digital badges or trophies, unlocking a new level, points or a new status, small achievements should also be recognized, especially when your user has just started engaging with your app. Some examples of achievement recognition are sending an email or a push notification when a user gets their first follower or first story recommendation. By sending an email with the sentence “Fun fact: Shakespeare only got 2 recommends on his first Medium story,” Medium encourages you to continue using their publishing service and also shows they are cool and supportive. People like feeling supported and being encouraged. People like to share their achievements, especially if they weren’t easy to achieve. Remind users to share right when they receive an award. Sharing achievements helps an app acquire more users. Challenges in mobile apps are generally represented by goals. Users like to feel as if they have a mission when using an app. For example, you may challenge your customers to check in at five retail stores that your mobile commerce application supports. When this is accomplished, the achievements you provide act as a visual proof of completing a challenge and can be illustrated on the leaderboard. Digital trophies don't have monetary value, but they can effectively be shared via social media. Achievements, after all, are a fun way to engage users.. Sometimes mere recognition is not enough. People are social creatures, and like to compare themselves to others. Sometimes you don’t just want to be ‘recognized’ – you want to win! Points can be used to denote achievements, whereas leaderboards can actually rank users and their accomplishments. Leaderboards motivate users to become players, which encourages competitiveness and can be especially useful for driving a desired user behavior. TwoFit is a workout app we developed that has a competitive element. 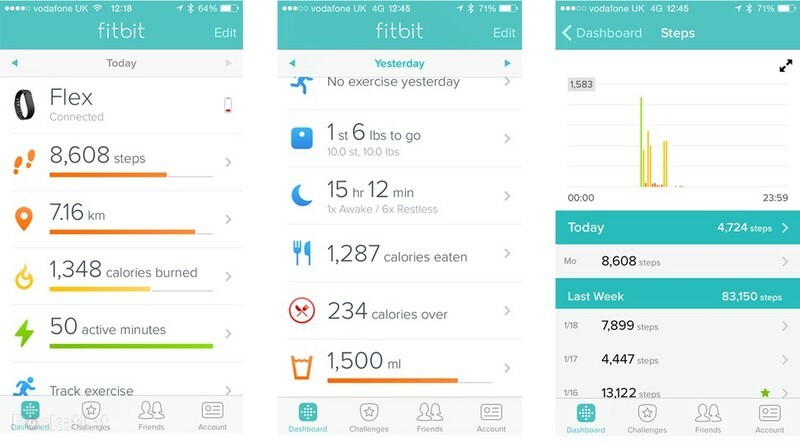 Users can challenge their friends to do a workout routine. They can then view each other’s scores and compete against each other. The results of the competition are displayed on a challenge board. Gamifying a mobile app with competitions and leaderboards is not a problem for an app developer. By offering your users a chance to compete with their friends, you get them engaged with your mobile application and grow your app’s network. Competition especially complements the functionality of fitness apps. Just keep in mind that competitive features shouldn’t be required, or at the core of your app, as not everybody is inspired by competition. In fact, some people are more inspired by mutual support and affirmation. People like to be proud of themselves and to prove their status. Levels or ratings are the digital equivalent of a rank in the army or a title on a business card. Of course, earned statuses deserve to be highlighted. In Twitter your status is emphasized by the number of followers you have, in Facebook the number of likes or subscribers to your page. LinkedIn platform has a profile strength and connections. The profile strength is designed to encourage LinkedIn users to add as much self-curated data as possible. You achieve ‘All Star' status by completing all sections of your Profile and by having recommendations, connections and endorsements. More on that here. Levels, user ratings, or statuses – no matter what you call them, they can drive user engagement and provide opportunities for monetization. Most developers use Google Game Services, Apple’s Game Center, and Amazon GameCircle, but you don’t have to rely on these tools when developing your own app. These services exist mostly for game development, but all mobile apps can use some features these libraries provide. Generally speaking, it’s easy to add rewards, virtual goods, badges, leaderboards and more gamification elements to you app. Gamifying a mobile app doesn’t turn the app into a game, but can greatly enhance user experience, making your app more engaging. Engagement results in your app’s increased visibility, discoverability, retention rate, and revenue generation. Gamification is a powerful way to get users engaging with your app.